In my last two blog posts, I get a little more personal than normal because I really wanted you to feel that they were targeted specifically at you. I mean, all of my blog posts are written for YOU to bring glory to God and encourage you in your relationship with Him. But I really wanted you to grasp those like maybe you wouldn't another post because they were over some very important topics. In fact, they were letters. From me to you. All about God and His forgiveness and love. Because God wants you to know how deep His love and grace for you is. These letters are part of a four part post series where I discuss four very important things you must know about: Jesus died for you, God loves you, He has an amazing plan for you, and you have so much hope through Him. It's so hard for me to pick one topic that's my favorite because they're all so wonderful to explore, but I really love looking at the hope, so I can't wait to share that in our fourth and final post. So now that you know you can be saved and just how deep God's love for you goes, you can believe Him when He tells you He has a great plan for you in Jeremiah 29:11. You can read more about why you can trust Him in this post, but today we're going to specifically focus on His plan. And you may think it's too late. That God's plan for you will never be fulfilled. You may think you've blown it by your sin. I want you to pay attention to this letter I'm writing to you, then, because it's NOT too late, and you can't screw up God's plan. How do I know this? He says so! To YOU! God KNOWS the plan He has for you. You don't have to worry. And this plan is to prosper you. It's not to harm you. It's a hopeful plan. It will give you a future. You may not feel this way at every stage of your life. But keep reading because I'm going to encourage you with what God says. Keep being strong. Do not give up. God will get you through each day (2 Corinthians 9:8), and He will reward you for the work you are doing to seek Him and His plan for you. Your work for him, however small or insignificant you think it may be, is not in vain (1 Corinthians 15:58). It's the little things that change the world. It's you, shining the light of God, everyday of your life to the best of your ability (Matthew 5:16). In fact, I want you to hear the two verses I cited references for in that paragraph from 1 and 2 Corinthians. Stand firm and don't give up. "Always give yourselves fully," it says. Devote yourself to God's plan for you and seeking it everyday, and do not give up because the verse concludes by saying "you know that your labor in the Lord is not in vain" (bold emphasis added). And if you think this doesn't apply to you, it does. It doesn't matter what you've done in your life. Get right with God, which I talk about in the first letter, and believe in Him when He tells you He has a good plan for you. It doesn't matter where you are or what you are doing, if you are working for the Lord, you will be blessed because that work is not done in vain. Your work will be rewarded (2 Chronicles 15:7), and it shines the light of God (Matthew 5:16). Don't waste that opportunity--it is not too late. One of the biggest things Christians need to remember is that our home is not here. I talk about that in this post. We may not see the total outcome of our work done here, but one day we will. We can't lose heart! That is what the above verse says. God is renewing us each day. God is renewing YOU each day. And I love verse 17. We get so fixated on our problems now that we don't realize we've got eternal glory coming, and one day these problems are going to be NOTHING. That is just part of the incredible hope we have, and just wait until we talk about that!! But I can't get ahead of myself here. I know I've been guilty of letting my problems of this earth paralyze me; what about you? I get so obsessed with the persecution I face, and in that I about forget the eternal glory. I can't. Next it says we fix our eyes on what is unseen. Because I want you to know something: this world is so temporary. It is SO temporary. People die . . . all the time. And what about you? Where is your hope beyond this life? I can answer that: it's in God and Him alone and what He's done for you through Jesus (John 3:16). And "what is unseen is eternal" (bold emphasis added). Don't worry about the problems you face now; look ahead to what is COMING because it is ETERNAL, and it is AMAZING! And we will go all into that when I talk to you about hope. Please, please, please don't give up. Here it is reiterated again--the good you do does not go unnoticed by God. How do you seek God, though? How do you follow His guidance? Proverbs 3 verses 5 and 6 make it pretty clear. Trust God. Submit to Him. And then trust Him to guide you. There are many ways to submit to God--by reading the Word, praying, obeying Him. Practice all of that on a daily basis. Read more about that here. Now how amazing is this? These trials we face now are producing perseverance in us. I have witnessed that in my own life multiple times. And then that produces character. And oh, how my character has grown through trials. I can honestly say without a shadow of a doubt that I would not be the person I am today having not gone through the crap I've been through. And so I do rejoice because of that. And ultimately, I have found that hope. And that love. And it is amazing. And I want YOU to find it. Sometimes you have to totally fall apart to find it. I did. Multiple times. This summer, when God really showed me that I ONLY need His love and that there is truly hope ONLY through Him alone, I had to break. And He used that brokenness to draw me to Him and show me that, and I am so thankful it happened that way. I don't think I would've gotten it otherwise. God's love is so much greater than anything here on earth, and sometimes He will break you to show you that. But you need to know that, so I am thankful He did that because He really convicted me and really had me feel the depth of my need for Him. I had a lot of anxiety and hopelessness building up inside of me over the summer, and I learned to depend on HIM alone to help me. And I don't ever want to forget that. So don't forget that. Know that He is all you need, and He will carry you through. The plan He has for you is much better than anything in this life. God can do all things. And nobody can destroy His purpose. That's another promise. So you don't have to worry about anyone wrecking His plan for you because He is so much more powerful. Much like you can't even fathom how deep God's love is, you can't even imagine ("conceive") the things God has prepared for you. So rest in that. We don't deserve that at all, but God is that loving towards us. It doesn't matter how badly you've blown it in your life, let right now be the time you surrender to God and work for Him. If you think it's too late and you've blown God's plan for your life, I'd really like you to hear this quote. I found it the other day, and it opened up my own eyes. Job 42:2 says that exact thing as well. And finally, if you are willing to totally surrender to God's plan for your life, you might lose some things. They are worldly things, but it can still hurt. So just remember this, God also takes that into account. You will be blessed for losing something to obey Him if that's what it takes. Don't place your hope in things of this world because they have no meaning. Remember, we are to focus on what is unseen! And just remember all of God's promises for YOU that we've gone over. He is so deserving of our praise, so let's give it to Him. We give it to Him not just because of what's in it for us but because that is what He deserves. Our God is so amazing, so mighty, so loving . . . the list goes on. Worship Him because of that. Because that is what He deserves. And trust in His amazing plan for you. It starts right now and never ends. You know how sometimes you get this really good idea for something, and you know it’s just going to be great, and then it totally fails? That happened to me once. It was infuriating. It was also one of the best things that’s ever happened to me. I know. Let me explain. I might have actually mentioned this before about how I used to desperately want a website and what not. If you go way back to some of my earlier posts I went in depth about my whole journey to coming to blogging, but right now I want to focus on one part of this. That time I worked with a web designer, and it didn’t work out. I’m going to talk about that - one of the worst and best things ever to happen to me. God is working. I’ve always believed that. Even when we feel stuck, even when it feels like He’s totally not doing anything, and even when our plans horrifically fail. Especially when our plans horrifically fail. Those are the times where it may feel like God is totally against us, but that is not true. He’s actually protecting us and trying to get us back on track with His plans that are way better. I challenge you to thank God for the next time one of your plans go wrong - He’s actually protecting you. Now, this is only the beginning of the post. If you’re totally looking at me with a blank face, thinking, “How in the dang heck am I supposed to be happy when something goes wrong? I just stubbed my toe - REJOICE! REJOICE…! ?” That’s not exactly what I mean. Let me tell you my story. We all have plans. We love making plans according to what we see best. It’s not bad to make plans, but we need to make sure it is God’s will. If we are not sure what His will is, we need to ask Him to make the right decision for us, like when I asked God to make the decision about if I got accepted onto a traveling basketball team I tried out for. In the spring before the summer I started this blog, I wanted a website. From a young age, I developed a fascination with social media and websites and posting about my life and mission. Maybe I’m conceited, I don’t know. Anyway, I had a lot of money saved up at that point, and this was the point where nothing I could design for myself would satisfy me. So what is the next logical step? Hire somebody! Problem is, I didn’t consult God about this. Nope. I didn’t even really have a defined purpose for the site except for the fact I wanted a website, dang it. I was desperate, and I just wanted to have my own site on the internet. I found a designer through a cute website I was looking at. Her portfolio had some sites I thought were very pretty, and she was also affordable. My parents let me do this, and she was all for it. I got put on a waiting list where I had to pay half of the money up front, and then I waited. Clear into late spring or early summer until it was finally my turn. I was a mess. The waiting just made me overwhelmed with so many design possibilities, and nothing would ever satisfy me. I kept having different ideas, and it was super frustrating. Finally when my turn came, it started getting better. I picked my colors and fonts, and she had designed a super cute logo for me. This was also when I heard of Squarespace because she recommended it to me, and I loved their platform. But things started to take a turn for the worse. She just stopped doing it. We were really nice about it and emailed her a few times, and she was nice back, but still nothing really happened. To this day I still can’t really figure out why it decided to bomb with me. She had many clients before me and received great testimonials. She’s had clients since me and gotten their work done. Of course, at the time, I thought just my luck. Looking back on it now, I think of what a huge blessing that was for it to fail and how God was really looking out for me. Let me explain still. I was mad. I was sick of waiting. I wanted my website, and I wanted it NOW! Summer is always the season where many exciting things happen to me, and I wanted to start documenting them for gosh sake! Then I had an idea while I waited. I would start a temporary blog. I wouldn’t keep it forever, only until my website was finished. I would use it strictly for updates and hey, I may as well throw my faith in there because we can’t forget about God. The design was just going to be simple - nothing over the top. In the meantime, we got fed up with the whole website thing. We did a claim to get our money back (it was actually MINE…), and unfortunately I only got half of it back. The other half was from when we first began, and it was back too far to do a claim. My parents, as the very nice awesome people they are, gave me my other half of money, but that still stinked. However, if I had to make the same decisions over again, I would. I definitely would. That temporary, updates only blog became a permanent, faith at the center instead of Ashlee and her conceited self blog, and obviously the design has got face lifted so many times it should be dead. The power of God, people. I decided I didn’t need a website. God had other plans all along, and when I screwed up, He redirected me to this site here where I take way too many pictures, turn way too many things pink, and talk about Him a lot. I feel no shame in any of these! What would have happened if the website did go through? I have a few guesses. - I would have hated the design. I’m sure the designer would have done an amazing job, but I didn’t know what my brand was. You all have seen how long it took me to figure it out. I mean, dang it! If I would have hired a designer every time I needed a new design, I would have gone into debt as much as I would’ve if I bought all the Uggs I wanted. That is also equivalent to the amount of money somebody who just won the lottery got. Bottom line: IT WOULD HAVE TOTALLY SUCKED. It’s been awesome watching God evolve my blog and just seeing where He takes it. I think this is a really good example for me personally of God always remaining faithful. He’s what this life is about, not me, and I want to share that here. This is something I’m definitely going to remember heading into the journey of trying to get my book published, and I actually need to remember that for everything in this life. So I do thank God that the website failed because I honestly don’t know if Sparkles by Ashlee would exist today, and I know God is working through it. So yes, I do thank God. Even though I wanted that fifty dollars, and it wasn’t fair my parents had to sacrifice that… Even so, I still thank God. Sometimes we don’t see the outcome right away, but when you stop and be patient - when you stop and focus on God - you’ll see that He knows what He’s doing. He’s on your side, and He’s got your back. He will be faithful. 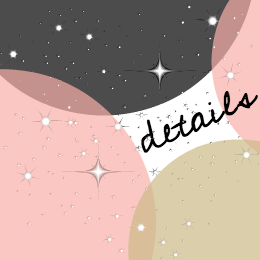 So today I was designing a cute little geometric background for a friend of mine who asked me to do her new blog design. 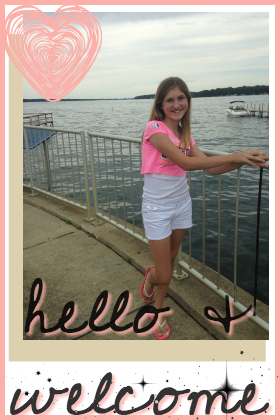 * It was just a bunch of triangles that would outline her blog like a frame and I just used the colors she picked out. When I was done designing it for her I decided to do one in my colors. Why not? I have some time on my hands, and it might turn out cool. I ended up really liking it and I had some space in the middle, so I wrote my favorite Bible verse (and the one I live by!) down. I thought I'd share it here for you all. It's big enough to be a screensaver. So here's your freebie for today, folks! *My hidden talent is graphic design and editing images. 2nd dream is to open my own web design business. Codes come naturally to me, same with photo skills. The verse is: "For I know the plans I have for you," declares the LORD. "Plans to prosper you and not to harm you. Plans to give you hope, and a future." It's pretty obvious how I live by this and why it's my favorite. So enjoy the freebie, because of my designing hobby there will be many more where that came from!